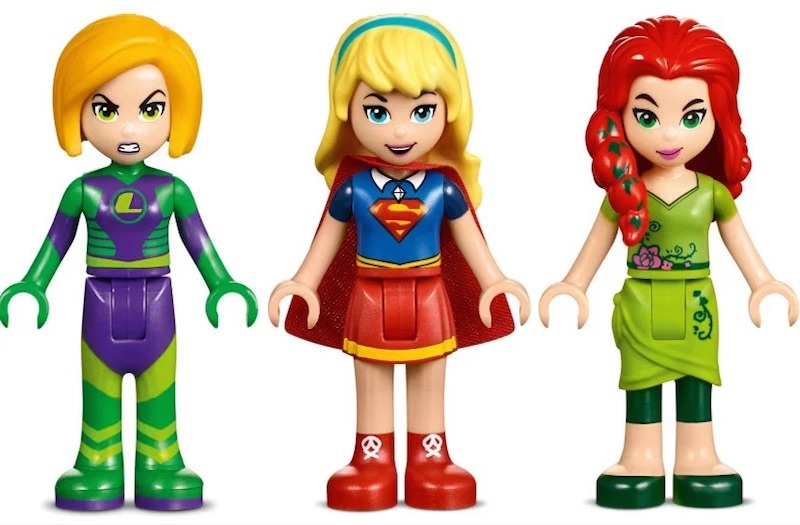 Superhero LEGO minifigures always get a prime position when it comes to imaginative play, and now they’ll have to share the limelight: DC Comics and LEGO just unveiled a collection of “Super Hero Girls” with characters including Harley Quinn, Poison Ivy, Super Girl, and Bat Girl in Friends Minidoll form. The vividly colored sets and dolls depict iconic characters of superheroes and super villains during their high school years. Some of these young women are definitely not known in the comic world as being goody two shoes or teacher’s pets (and they sport the fierce and mischievous expressions to prove it), so there’s plenty of potential for high school hijinx and battles between forces of good and evil. The dolls are accompanied by some creative and innovative superhero tools and modes of transportation that are sure to get your little one thinking outside of the box. The first Super Hero Girl LEGO sets will be available by the end of November, so expect lots of super hero mashups and adventures over the holiday break. The rest of the sets arrive in January 2017. In the meantime, little super girls and boys can become better acquainted with these new characters through the DC Comics Super Hero Girls’ site. Superhero LEGO minifigures always get a prime position when it comes to imaginative play, and now they'll have to share the limelight: DC Comics and LEGO just unveiled a collection of "Super Hero Girls" with characters including Harley Quinn, Poison Ivy, Super Girl, and Bat Girl in Friends Minidoll form. The vividly colored sets and dolls depict iconic characters of superheroes and super villains during their high school years. Some of these young women are definitely not known in the comic world as being goody two shoes or teacher's pets (and they sport the fierce and mischievous expressions to prove it), so there's plenty of potential for high school hijinx and battles between forces of good and evil. The dolls are accompanied by some creative and innovative superhero tools and modes of transportation that are sure to get your little one thinking outside of the box. The first Super Hero Girl LEGO sets will be available by the end of November, so expect lots of super hero mashups and adventures over the holiday break. The rest of the sets arrive in January 2017. In the meantime, little super girls and boys can become better acquainted with these new characters through the DC Comics Super Hero Girls' site.